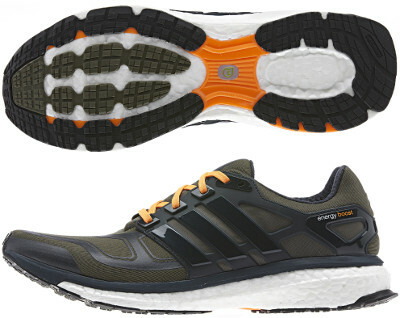 Adidas Energy Boost 2 are neutral cushioned running shoes. There is no doubt Boost from Adidas has been the most successful technology in the running shoes industry in recent years: some buzz, great cushioning and fabulous response. Major change from its predecessor the disruptive Energy Boost shows up in the upper by making bigger the plastic piece from the heel to the midfoot looking for a better fit which unfortunately may turn into excessive firmness and narrowness for many runners. Visibility under poor light conditions has been dramatically improved adding reflective elements in rearfoot logo. The german brand has unveiled 2 different editions: ESM with a new upper made from seamless Engineered Stretch Mesh to improve breathability combined with TechFit™ layers for better fit and ATR (All TeRrains) with a water resistant upper and redesigned outsole for better grip on trails.